The Rebel Sweetheart. : Foodie Goodie | Samgyeopsal (Korean Grilled Pork Belly). Foodie Goodie | Samgyeopsal (Korean Grilled Pork Belly). 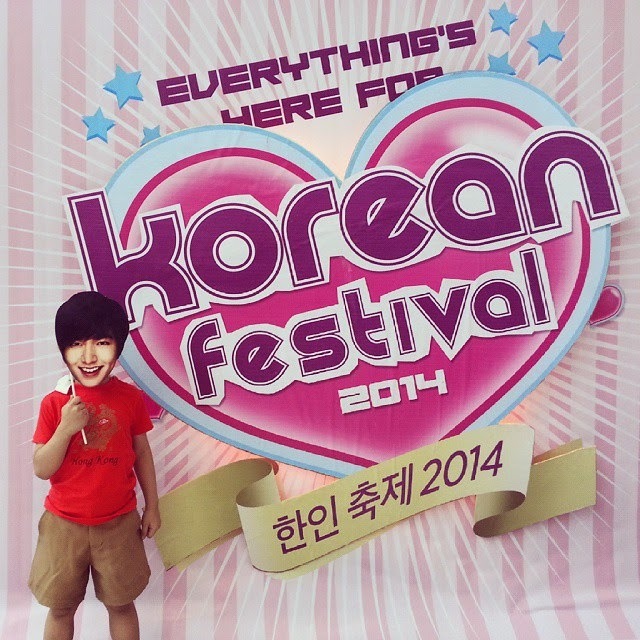 I'm glad that the SM Supermall here in my area is included in this year's Korean Festival. It's a week-long celebration that runs from October 1 until October 7, where they showcase all things Korean - from music, to food, to makeup, and even movies. Speaking of Korean food, let me share with one of my favorite Korean food. It's called 'Samgyeopsal' 삼겹살 - a dish you'd see very often in Korean dramas. 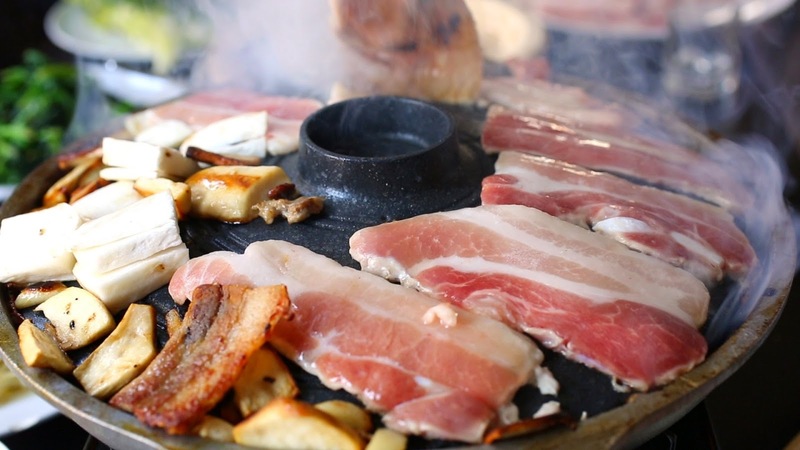 Samgyeopsal is nothing more than uncured pork belly, sliced thin like bacon but with the rind removed. The name, which literally translates to “three layered meat”, is a description of the strata of meat and fat that invariably makes up this cut. 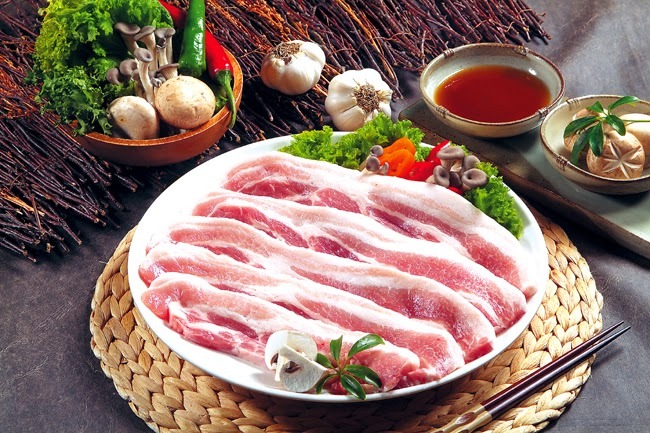 The strips of meat are grilled with slices of onion and garlic, sometimes with pieces of mushroom or even strips of kimchi. 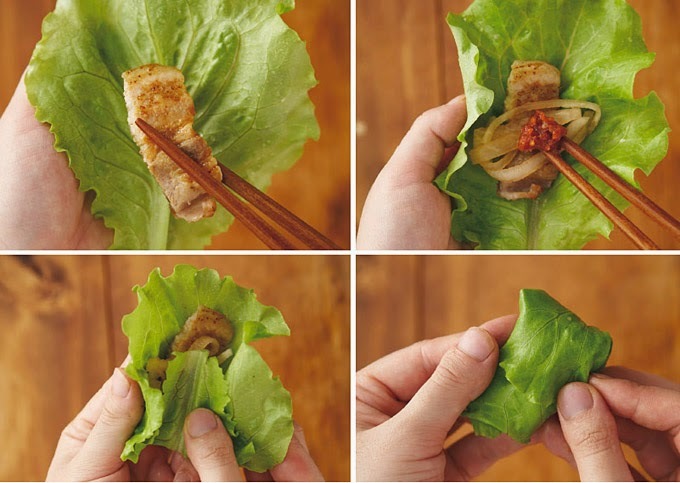 To eat samgyeopsal, take a piece of well-cooked pork belly meat and place it on a lettuce leaf. Add some dressing and vegetables, a spoonful of rice even, and wrap it up. Try not to put too much in the lettuce so you can eat the 'ssam' (Korean word for wrap) in one bite. I have never tried Pork Belly and I am not sure I would know how to cook it correctly-even with your instructions! It does sound interesting. Yum! Ayan nagcrave tuloy ako ng Korean! Waaah! We love Korean food, and we love Samgyupsal! I even have a blog post about this dish too! Now I think we'll serve this again for dinner. Looks and sounds like something I'd want to try! I would like to try this out.. sounds very good..
Naku! Mahilig ako sa samgyuepsal! Lalo na yung sesame sauce.. tapos it's healthy ha kasi kimchi+lettuce+meat lang o diba low carb! Yum! Samgyeopsal is a fave in my house, too! Super easy to make and the kids love it, winner! I've always liked wrapping meat in lettuce, my family thinks I'm weird, but now I'm going to show them your post and tell them that I'm totally normal and that I'm buy more bacon! This looks healthy and NOT at the same time! Fantastic! I love dishes like this and I do love pork belly. I have to admit. I love it best with rice! lol! Very interesting, the pork sounds tasty! So you just pop the whole thing in your mouth? I have never heard of this dish before. It sounds amazing and I love pork. Thanks for sharing. yum! sounds delicious! WIll need to try this one day! This dish is new to me! Nevertheless I love Korean food! :) I bet the Hubby would like this!